Dose of this combination should be individualized on the basis of the patient’s current regimen, effectiveness, and tolerability while not exceeding the maximum recommended daily dose of 100 mg Sitagliptin and 2000 mg Metformin. Administer once daily with meal preferably in the evening. Gradually escalate the dose to reduce the gastrointestinal side effects due to Metformin. May adjust the dosing based on effectiveness & tolerability while not exceeding the maximum daily dose of 100 mg Sitagliptin & and 2000 mg Metformin extended-release. Maintain the same total daily dose when changing between Siglimet™ & Siglimet™ XR without exceeding the maximum recommended daily dose of 2000 mg Metformin extended-release. Patients using two Siglimet™ XR tablets (such as two Siglimet XR 50/500 or two Siglimet™ XR 50/1000 tablets) should take the two tablets together once daily. 100 mg Sitagliptin/2000 mg Metformin HCl XR tablets should be taken as a single tablet once daily. 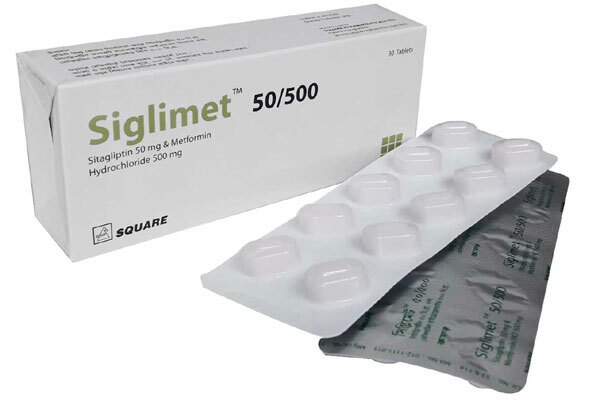 Siglimet™ 50/500 Tablet: Each box contains 30 tablets in blister pack. 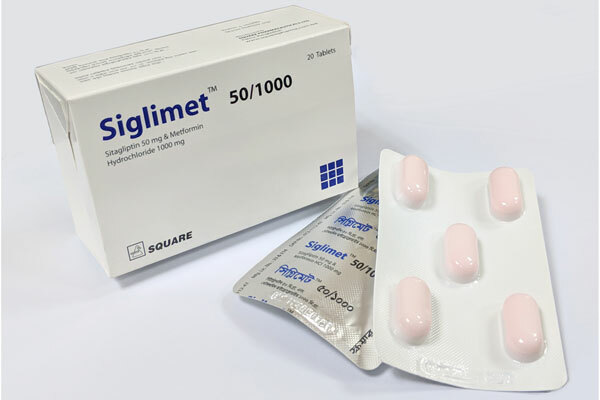 Siglimet™ 50/1000 Tablet: Each box contains 20 tablets in blister pack. 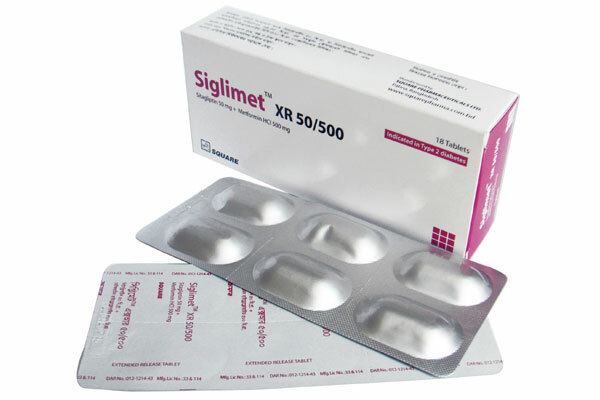 Siglimet™ XR 50/500 Tablet: Each box contains 18 tablets in blister pack. 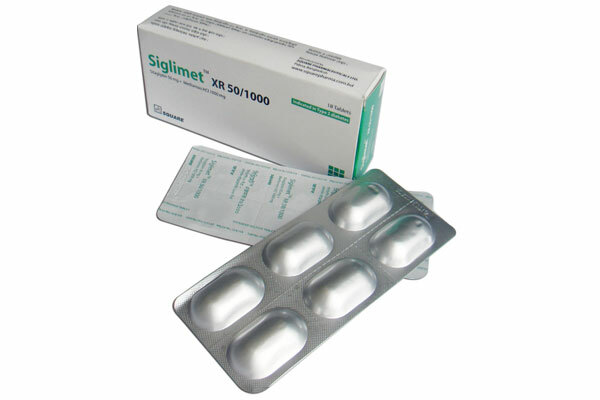 Siglimet™ XR 50/1000 Tablet: Each box contains 18 tablets in blister pack. 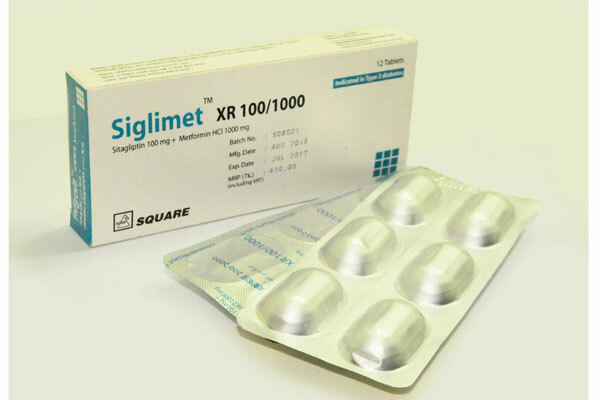 Siglimet™ XR 100/1000 Tablet: Each box contains 12 tablets in blister pack.